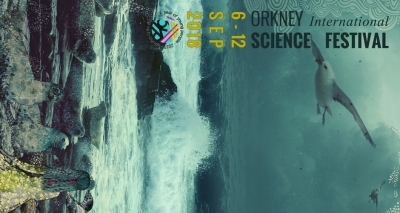 Orkney International Science Festival – OISF – One of the world's longest-established and most original science festivals, providing a platform for fresh ideas in an island setting. 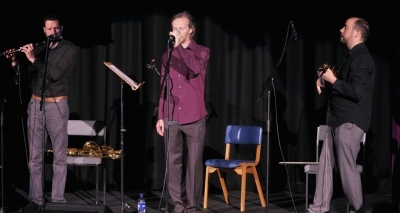 Ronaldsay to Hoy, plus photographs, videos, music, history and much else. 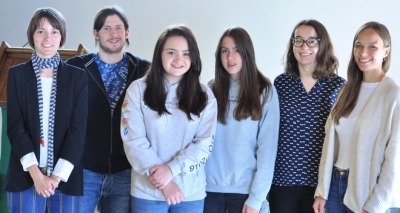 Music from Ireland, astronomy from Uzbekistan, newly created art and design, and young people to the fore – these were all features of the 2018 Orkney International Science Festival in a special package for the Year of Young People 2018. There’s plenty of opportunities to sample local fare, in daily lunches and in special events like a talk and tea in the 17th-century Skaill House. And for a look back at some past highlights . . . The dates for this year’s Festival are 5-11 September 2019. 2018 is the Year of Young People, and so was an ideal time for us to have young people to the fore in various ways, and numerous opportunities for people and communities to participate in activities. Speakers included Sir Paul Nurse, Nobel Prizewinner for Physiology/Medicine in 2001, and there was also be a day of frontline topics in genetics. We heard about the study of genetic links between Orkney and Iceland, going back to Norse times. We told the story of some remarkable people, including the physicist Paul Dirac and the Irish mathematician Sir William Rowan Hamilton, and how a sultan in Samarkand 500 years ago provided the opportunity for a modern measurement of continental drift. We looked at ancient environments and modern developments with hydrogen and fuel cells, at rockets and space exploration, at the mathematics of Bach and the physics of mountain rescue. For latest News follow us on Facebook. 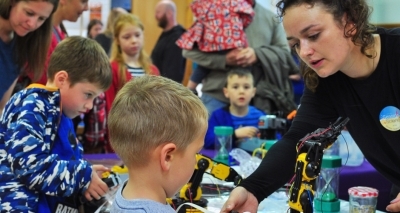 This was my very first visit to Orkney and therefore, my first exposure to the vibrant and exhilarating Science Festival. 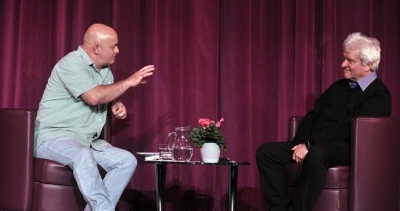 It was an incredible week – the Festival pulsated! It was far larger and far better supported than I would have thought possible. The first video highlights are now available to watch. They include the study of Highland folk medicine ‘Pepperwort and Parsley, Beeswax and Fulmar Oil’, and ‘Big Bill and the Guns of Alamein’, describing the vital role of radio equipment and mine detectors in the battle.